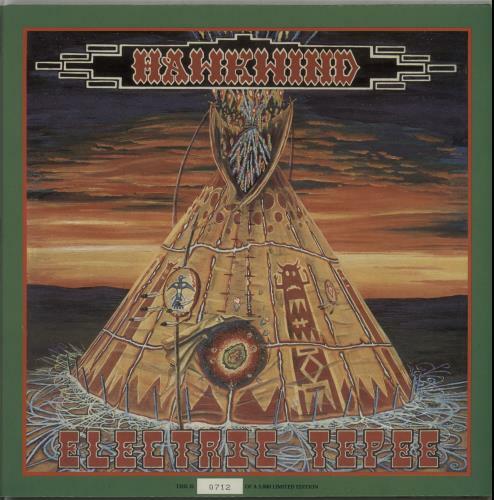 HAWKWIND Electric Tepee (1992 UK limited edition 14-track double LP, which showed the band were still innovators, incorporating new ambient influences within their work all the while remaining true to their unique style. Comes housed in an individually numbered gatefold picture sleeve. The sleeve shows minimal shelfwear with just a little scuffing & the vinyl is near mint ESDLP181).